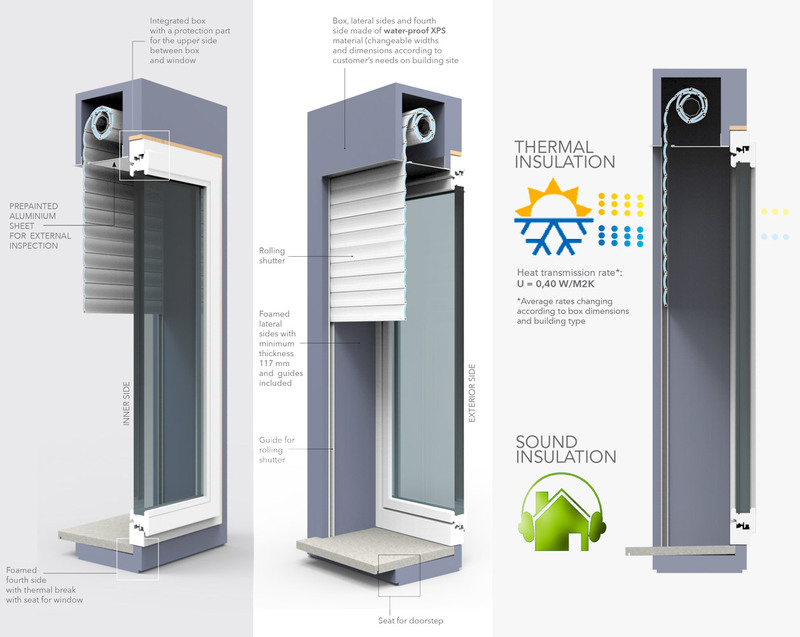 Its insulation avoids all thermal breaks which may appears next to the window and it guarantees high energy saving. 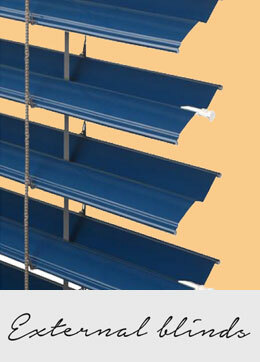 It can be installed with any kind of window (wood, Plastic, aluminium) and it is meant for rolling shutters, sunshade and technical blinds. MISURA is supplied with all its installation accessories and it is extremely easy to install. It has 2 options for inspection: internal or external inspection site. Integrated box system built on measure both in height and width and lateral sides with changeable widths according to wall’s thickness. 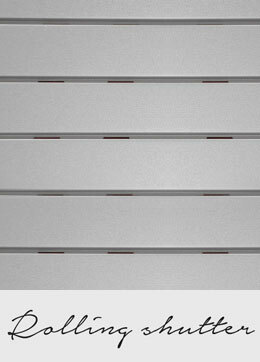 Lateral sides with thickness XPS material of 100 mm + Respanel panel of 12 mm. Lateral sides with plaster holder pro le of 5 or 10 mm. Lateral sides are ready for plaster or levelling compounds. 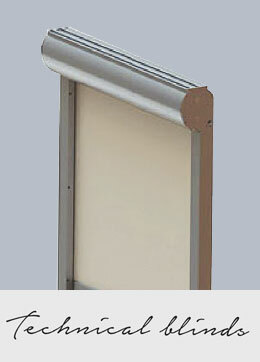 Suitable for any kind of window (wood, PVC, aluminium). Sub-frame built according to client’s needs. No aluminium pro les in order to avoid thermal bridges. Mosquito net set-up. It is possible to make cuts for the seat of the mosquito net both next to the window or near the shutter’s guide ( we recommend to place it externally in order to improve the window’s insulation). • Front or external inspection (only in case of rolling shutter). Optional foamed fourth side (thickness 60 mm) in order to complete its thermal, sound water and air-tightness performances. Optimal window xing on all 4 sides. Insulated component protecting the inner side of the sub-frame where the window is xed on the wall (internal wood sub-frame).